We are thrilled to announce the recently published Negative Publicity: Artefacts Of Extraordinary Rendition is the recipient of The Rencontres d'Arles 2016 Photo-Text Book Award! Congratulations to photographer Edmund Clark and counterterrorism investigator Crofton Black! Many thanks to our co-publisher, Aperture Foundation, and the individuals whose generous contributions brought this book to fruition. The Book Award was created 47 years ago at the start of The Rencontres d'Arles summer photography festival. As photography publishing continues to innovate and expand, so too do the categories awarded. With the support of the Fondation Jan Michalski pour l’Écriture et la Littérature, the Photo-Text Award is a new addition, recognizing excellence in combining images and texts. 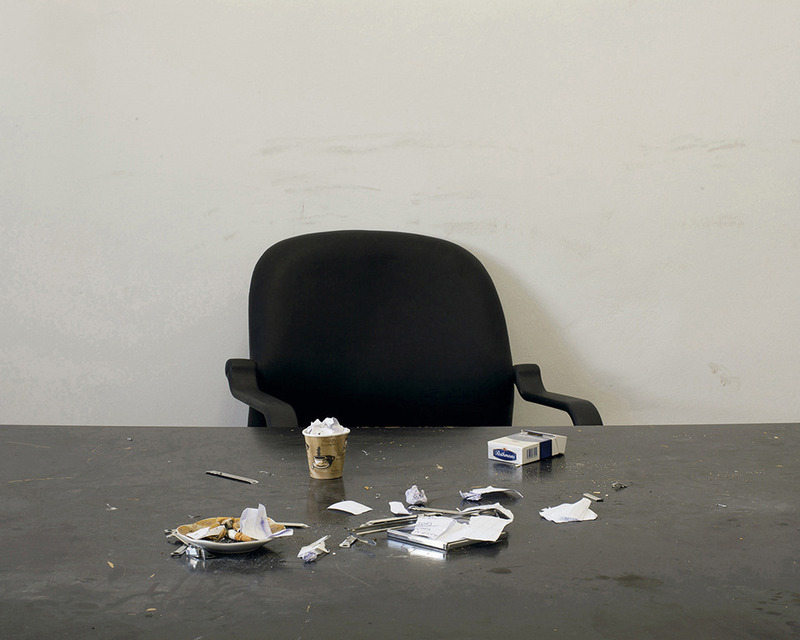 Negative Publicity: Artefacts of Extraordinary Rendition, by photographer Edmund Clark and counterterrorism investigator Crofton Black, is an assemblage of photographs and documents that confront the nature of contemporary warfare and the invisible mechanisms of state control. 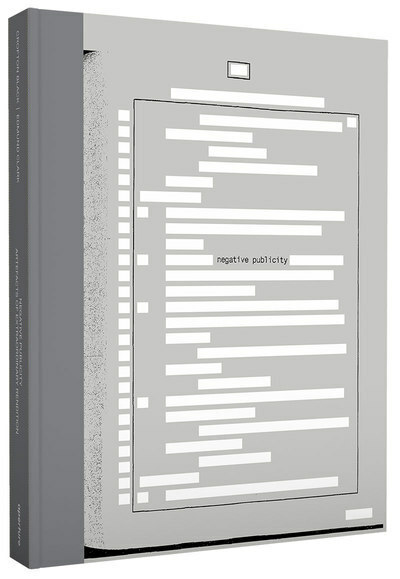 The year following the work completed with Magnum Foundation’s support, Edmund proposed the idea of a book that would bring together his photographs with extensive documents, many heavily redacted, to recreate the network that links CIA “black sites.” Through exhaustive research, these documents were compiled by Crofton Black, who was working for lawyers on behalf of transported individuals. The assembled paper trail shows the activities of extraordinary rendition via the weak points of business accountability: invoices, documents of incorporation, and billing reconciliations produced by the small-town American businesses enlisted in detainee transportation, raising fundamental questions about the accountability and complicity of our governments, and the erosion of our most basic civil rights. Manifested in book form, these visual and written records evoke ideas of opacity, surface, and testimony in relation to this process of movement—a system hidden in plain sight. The Photo-Text Award is a significant acknowledgment of this ambitious and timely project and the rigorous and pioneering approaches that Magnum Foundation supports through its grant-making and production. We are proud to have co-published this work with our close partner Aperture Foundation. We extend deep gratitude to the Panta Rhea Foundation, David Solo, the Rosenthal Family Foundation, and the Fledgling Fund for helping to make this publication possible. Read more about the book and its making on the Arts-Policy blog by the World Policy Institute (WPI), where Edmund and Crofton recently participated in a round table discussion as a part of the CIA Rendition Program. The extraordinary rendition programme was controversial from the outset, with complaints raised early on by government officials and contractors who witnessed elements of it. After various such complaints the CIA’s Inspector General conducted a review of the first two years of the agency’s detention and interrogation activities. The review examined a range of ‘enhanced interrogation techniques’. These had been authorised for use on the first ‘high value detainee’, Abu Zubaydah, captured in March 2002, and on numerous subsequent prisoners. The review considered the role of medical and psychological personnel in the application of these techniques, the recording of interrogation sessions, as well as some ways in which interrogators had exceeded authorised methods. A considerable proportion of the report was redacted – blacked out by the agency’s censors – on its eventual declassification and publication in 2009.